Trying to beat the heat in these dog days of summer (that we are finally experiencing after a month and a half of rain almost every day! ), and spending many days at the pool, having picnics and playing water games outside, and making and eating our own homemade popsicles. 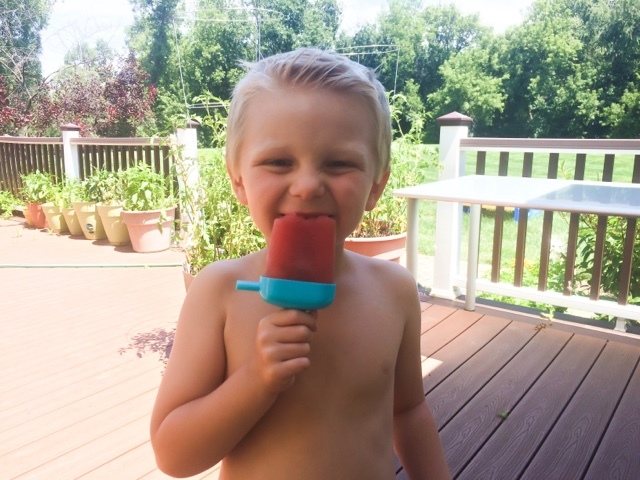 My kids love popsicles, and I used to always buy them from the store, but they have so much sugar and unnecessary ingredients in them. Even the ones marketed 'healthier' still contain a lot of unnecessary, inarticulate ingredients, and most of these are actually really expensive once you find out how easy and cheap these are to make yourself. 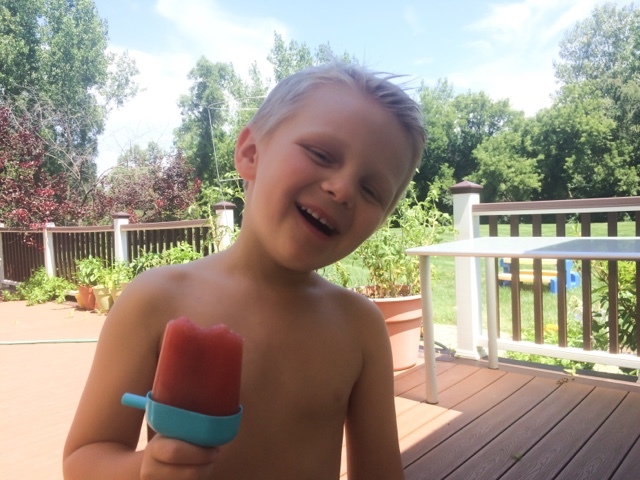 Last summer I picked up these popsicle molds at the Dollar Store and I've been making our own popsicles with these since, and you can too -- it's soo easy, and so much healthier for you and your kids! 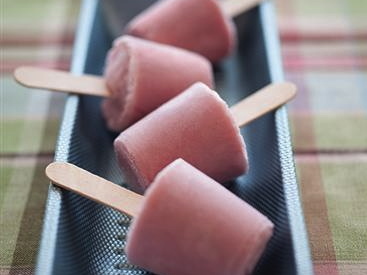 Here is a recipe for our favorite, Cran-Apple Yogurt Pops made with R.W. Knudsen Family's Just Cranberry Juice. We love R.W. Knudsen Just Juice brand because they stand by wholesome ingredients without any artificial flavors or preservatives - they are made from organic single-fruits, with no added sweeteners and completely sweetened 100% by the juices straight from the fruit, and they taste absolutely delicious. 1. Place yogurt, juice, apple sauce, and agave in blender. Cover and process until smooth. 2. Divide evenly into cups or popsicle molds. Cover cups with foil. Insert wooden stick into center. 3. Freeze 3 hours or until firm & enjoy! There are so many other easy variations to making your own popsicles -- you can literally blend in any fruit you fancy, or cut out the blender and mix in chopped fruit pieces. & if you are having a lazy day, you can just pour in orange juice, or half OJ half cranberry for a quickie. Check out more delicious and healthy summer smoothie recipes here - and for some more toddler meal and snack ideas check out this old post. *Disclaimer: I have received R.W. Knudsen juice products to facilitate my review but the review and all opinions contained herein are 100% my own. Ahhh this is such a good idea, why don't I ever do thisssss. So easy and can be so freaking healthy! I am definitely doing this next week once my work weekend is over!